I'm quite new to the Sunway/ Subang area since I just joined Sunway University last July :) My classmates which are Subang-ians told me that there is a fried laksa nearby our college which is so awesome! At first I thought it was fried curry laksa, and wondering what's so special about it?? Restaurant Well Cook Gourmet is situated at SS14, just opposite of the famous SS15! SS14 is an area mostly populated by coffee shops with a surprising amount of Bak Kut Teh restaurants. (They were around 3 or more at the same row ). We only ordered the fried laksa because my friend warned me not to order any other dishes as it is not worth the try! I'm not sure about the other dishes but I also notice that mostly people order the fried laksa only when they come here. The fried laksa was indeed heavenly good for people who loves Asam Laksa + Char Kuey Teow. It's not the normal fried curry laksa but it's fried asam laksa! 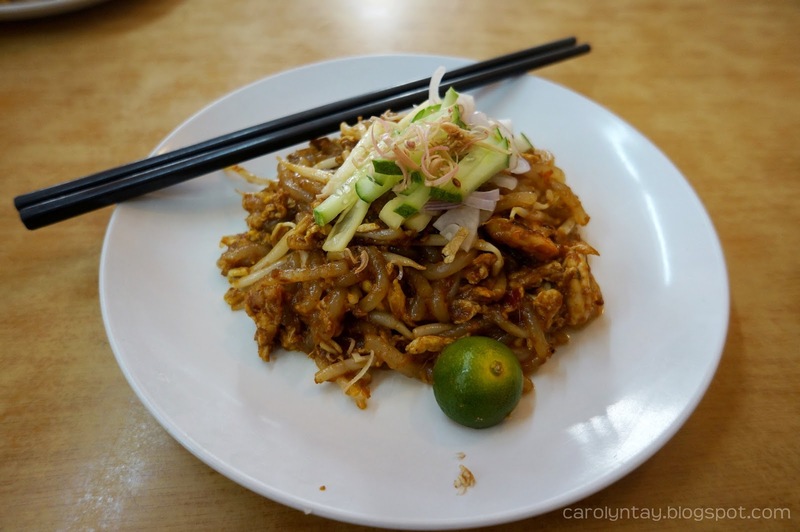 It looks a lot like Char Kuey Teow when it arrived but the aroma of the fried laksa makes my stomach grumble. It includes the usual ingredients of Asam Laksa which are eggs, fresh prawns, pineapples, diced cucumber, peppermint leaves, onions, chicken cubes instead of fish slices and bunga kantan, giving it a slight spicy and tangy taste. The noodles has the smoky wok flavour (Wok Hei in Cantonese) which gives it a extra point! I absolutely love this fried laksa and will definitely come back for more! The downside is the portion is kind of small and it keeps you wanting more of it. Maybe it's a trick haha..
Will definitely revisit and highly recommend you all to try it out!